I was dreading the first anniversary of Toby’s passing. My mind told me it was just another day on this planet without my son, but I couldn’t prevent all the triggers flooding in, the British Grand Prix, memories of what I had been doing that weekend blissfully unaware that my son was laying dead in a field. I started dwelling on this a few months before. What should I do? Should I carry on as normal, try to block it out or should I plan a memorial ceremony to honour my son. I could not answer so I did what I always do I followed my gut. My gut told me this was a milestone to be marked for two reasons. One I had survived a whole year without my son, and I was ‘still standing’ as Elton sang, and not only surviving I have quite a good life. Two I wanted to honour and remember the wonderful young man who not only I had lost, but who had left friends and family and they would be missing him too. So I ended up on what I can only describe as a mini-pilgrimage. I travelled ‘up country’ as Cornish people would say. I stayed with my oldest, closest friend on Sunday night as that was the night when I had the knock on the door at 10 pm which changed my life forever. I had lunch with my ex partner, which was interesting, as we are now good friends and it felt comfortable and a relief that I had no regrets that we had parted. He is a lovely man but wrong for me on so many levels. So that was another milestone, as I had moved to Cornwall in the throes of heartbreak after we split up. 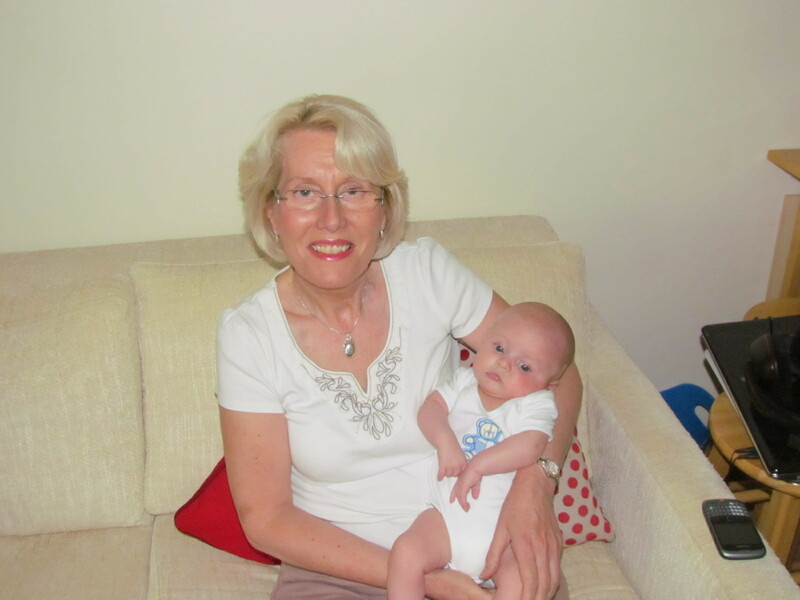 I then travelled to Cambridge where Toby went to University, and the most heartwarming thing I could have done was to ho ld a 10 week old baby who has been named after my son. One of Toby’s close friends had a son in April this year and named him ‘Toby’. So here was a living breathing symbol, that life goes on and a new life has just begun. I hope he carries his name with pride and will know when he gets older that he was named after my beautiful boy. So far so good, but then came the actual anniversary day, July 10th. 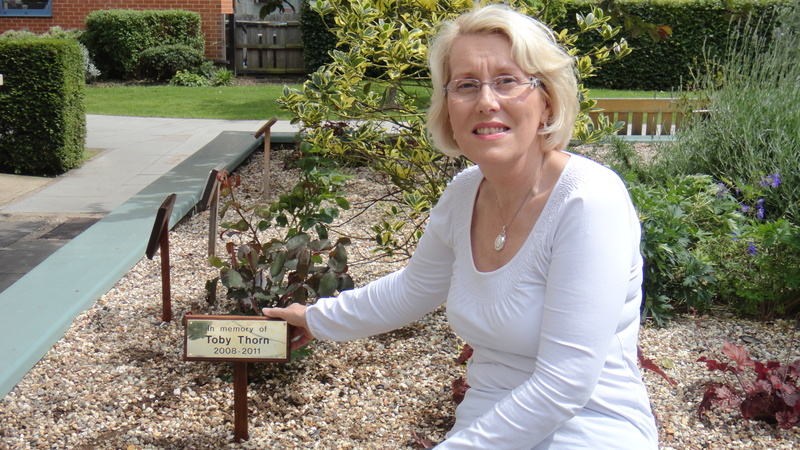 It all started rather well as I had been invited to Anglia Ruskin University to plant a rose in the memorial garden where there is now a plaque, a permanent mark that my son was a student there from 2008 to 2011. This made me cry but felt like a lovely memorial, the fact that they were willing to acknowledge that he was part of their family meant so much to me. I travelled to Ely with a friend and visited the field where Toby took his last breath and laid flowers. This was very difficult and afterwards I made a pledge to myself that I would not ever come to this place again. We had lunch in the Milton Arms where I had lunch many times with Toby, someitmes he was bleary eyed or hungover but we always put the world to rights over a beer and a burger. My friend had to leave and I was then alone in Cambridge, walking around and everywhere there were reminders of times I had spent in Cambridge when I used to vist Toby at Uni. The Carphone warehouse where I bought him an iPhone, the cinema where we saw ‘Sherlock Holmes’ Christmas 2009. Bella Italia, where we used to meet for lunch. He lived up towards Milton and as I walked back to the hotel I remembered how we had walked from his house to The Grafton Centre and how I worried about him making that walk late at night and getting mugged for his iPhone. I made it back to the hotel, and then it came. The flood gates open and I couldn’t control the rage of emotions, I howled (quietly because I was in a hotel). I cried, I ranted, I relived all the times I was sure I had been a terrible mother. The pain was so bad, I wanted it to stop. I don’t know why in hindsight I hadn’t predicted that this would happen. I have been so strong, so together. I didn’t expect such powerful emotions to come back, almost as bad or maybe worse than a year ago when it happened. However, I got through it! I phoned some friends and then had a glass of wine and watched Corrie on my iPad, a welcome distraction. It felt awful, bad, sad, gut wrenchingly painful, but then why wouldn’t it? My son has died and of course I will get bouts of awful painfulness, but they don’t come every day and I know they will pass. I had flooded my brain with emotions and memories, and it reached overload. I handled it, I got through it and knew that I would wake up the next day, July 11th and the anniversary of the day Toby died would be behind me and not in front of me. I had am amazing experience when I was staying in the hotel that really convinced me that Toby was there with me, helping me. The first night I stayed there, I parked my car in the car park round the back and as I walked back to the front door I walked past the window of the room that I was staying in. 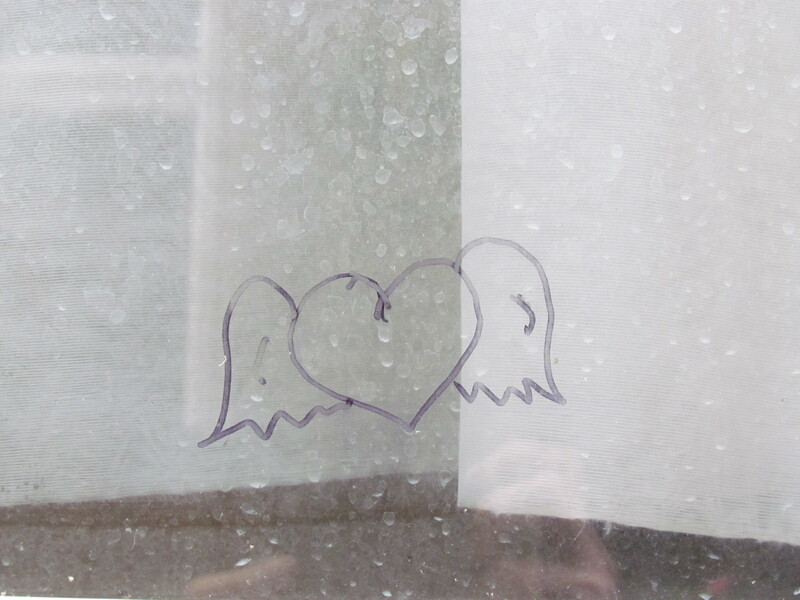 I gasped as I saw a heart with angel wings drawn on the window. I lifted my camera to take a picture and I swear I can see the top of Toby’s head in the window. His hair and his eyebrows. He was saying ‘I’m OK Mum, I’m here with you, you’ll be OK’ and I will. This entry was posted in bereavement, Grief, Healing, Loss, parents, suicide, Uncategorized. Bookmark the permalink. Anne, I lost my baby very recently (not to a suicide but a loss is a loss and there is no grief as intense as this no matter what the cause is). I found your site when I googled “my worst nitemare has come true”. And I have been reading your posts through the night. Today, I feel a bit better, slightly hopeful and I thank you from the bottom of my heart for it. I have been having suicidal thoughts for the last few days but maybe, if you can survive everything and continue living, so can I? For me, I think the most difficult emotion to deal with has been guilt. It is eating me alive, I cannot forgive myself. I hate myself. You can defend yourself against others but how do you defend yourself against your own mind? I have been trying to process the information you have in your posts. For me, the grief is still too raw, too intense to think logically but somewhere, I felt a flicker of hope today. I don’t expect to be ever truly happy again and I don’t know if I am ok with just surviving and not living but who knows? You said in one of your posts that you want to be able to do something amazing. I think you already have done it. You are giving hope to people like me. What could be more amazing than that? Thank you and I hope to be able to come back here after a few months and tell you that I am getting through this.God bless you.